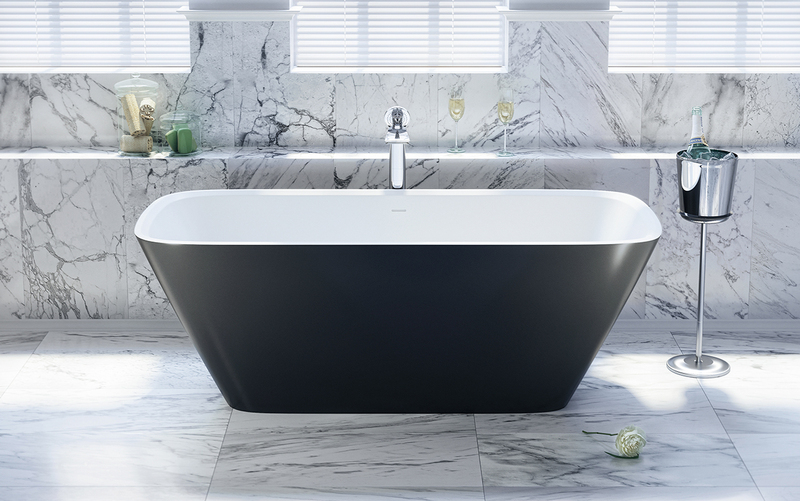 The Arabella Black and White tub features a classic rounded rectangular shape, with sides that rise from the base and fan gracefully outwards. Its one-piece, solid AquateX™ material provides a warm and velvety surface, as well as sufficient heat-retaining and durability qualities. 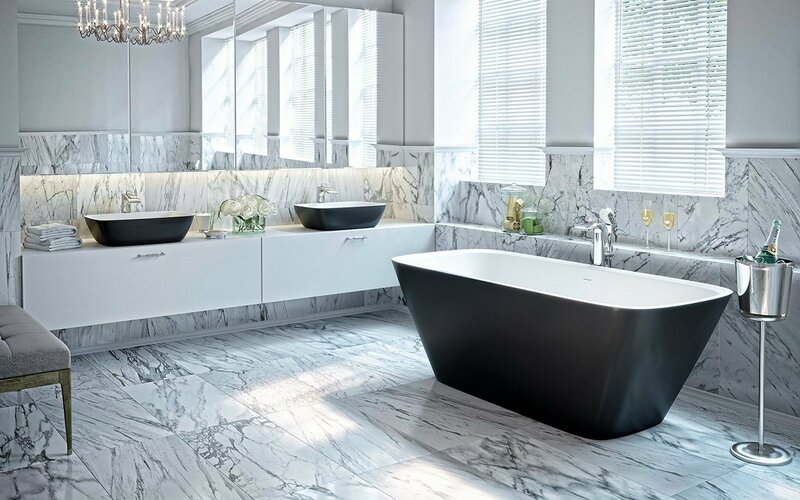 With a unique and striking outer black tone and an intriguing inner white surface, this luxury stone bathtub will be versatile in almost any bathroom! The extra deep design of the Arabella is ideal for full-body soaks and is conveniently available in a back-to-wall or corner installation. Generous space and pampering comfort combine in this large, deep bath. Full body soaking is easy even for two, enhanced by the ergonomic design, the gently sloping end walls, backrest, and neck and head support. 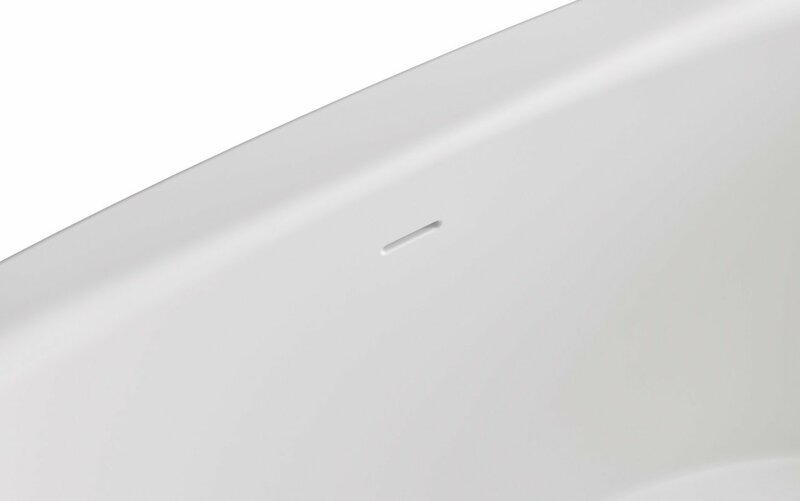 The streamlined, integrated drain plug adds to the overall comfort and good looks.